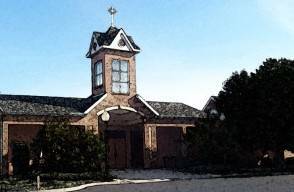 "St. Mark's Parish is a Catholic, Christian Community of believers, gathered together to joyfully worship God. Under the guidance of the Holy Spirit, we seek to proclaim the Good News of Jesus Christ, celebrate the uniqueness and diversity of our people, and charitably minister to all. Simply click the Icon above. Divine Mercy Sunday is April 26th! Please join us at 2:30 PM for Exposition of the Blessed Sacrament, Scripture, Homily, and Divine Mercy Chaplet (sung), closing with Benediction. We will be singing the Divine Mercy Chaplet during our Celebration of Divine Mercy Sunday. If you are not familiar with this beautiful chaplet and would like to acquaint yourself with it before our celebration, please listen below. As you may have heard, there is an upcoming movie by the name of "Unplanned" which presents the powerful story of former Planned Parenthood director Abby Johnson and her conversion to being a leading Pro-life advocate. It also details the role 40 Days for Life played in that process. Please try to attend the theater showings starting March 29. The turnout for the first week is critical to prolonging its run in the theater. It is important to enable as many people as possible to see this film as it will be very impactful in affecting people's attitudes toward abortion. Saturday Morning, April 27, 2019 from 9:00 - 10:30 AM outside the downtown Planned Parenthood abortion facility (114 University Ave. 14605). We stand in love for the children in the womb being killed, the pregnant moms in need being exploited and wounded by the lie of abortion, and even for the abortionist and all abortion workers. CLICK HERE for upcoming events, activities and how to join! St. Mark’s Youth Ministry will be holding a garage sale in the Church Hall on Thursday, June 13th through Sunday, June 16th. This will be a fundraiser to raise funds for activities to enhance the faith of our youth and young adults. We want to stay in touch with you and your family and share upcoming events and plan new activities to enhance your experience at St. Mark’s! Let’s talk after Mass and get the conversation started about Young Adult Ministry. Please check out the new Young Adult Bulletin Board. It is located on the wall just before the entrance to the Church Hall. 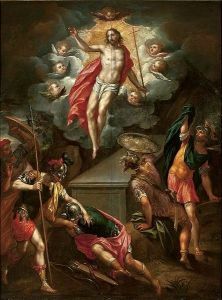 A Study on Evangelization using the Acts of the Apostles. Who better to look to for guidance on evangelization than the Apostles and disciples of the early Church? This is a ten-part series that combines insightful biblical study with Church teaching and practical advice to show how modern Catholics can effectively impact their world for Jesus Christ. CLICK HERE FOR REGISTRATION FORM, The cost for your book and class will be $14. We are looking for people who can volunteer once in a while to complete small tasks in the Parish Office. Please call Terri at 585-225-6824 if you would like to help. Our parish recently purchased new altar server robes and cinctures to replace our worn robes. If you are able to make a special donation to cover this expense of approximately $2,000, please drop your donation into our Sunday collection in an envelope labeled with “ALTAR SERVER ROBES” and your name (and envelope number if you have it). Any amount would be gladly accepted.